The 5KPlayer 4th Birthday Giveaway & Sweepstakes is organized by DearMob, Inc ("Administrator"). By entering into this Sweepstakes, you ("Entrant") agree to accept the terms and conditions in these Official Rules. The Sweepstakes begin at 00:00am EDT on Jan. 22, 2019 and ends on Feb. 28, 2019 at 11:59pm EDT ("Entry Period"). Entries submitted before or after the Entry Period will not be eligible. Visit the entry page, simply submit a valid Email Address as 1 entry. Specifically, sharing the event on Facebook or Twitter will earn 3 more entries. Rate & review 5KPlayer on Trustpilot will earn 3 more entries. Activate VideoProc and send us an email will earn 3 more entries. Follow 5KPlayer on Twitter and Facebook will each earn 1 more entry respectively. Each participant can get up to 11 additional entries. 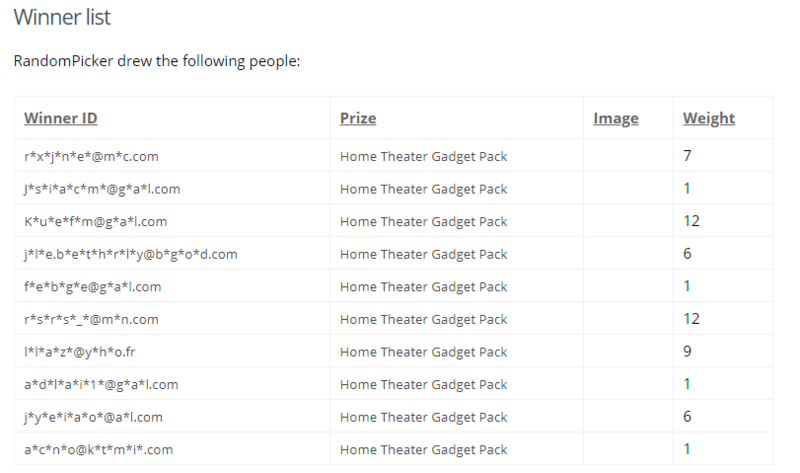 There will be 10 winners in total and each one of them will get a Home Theater Gadget Pack. 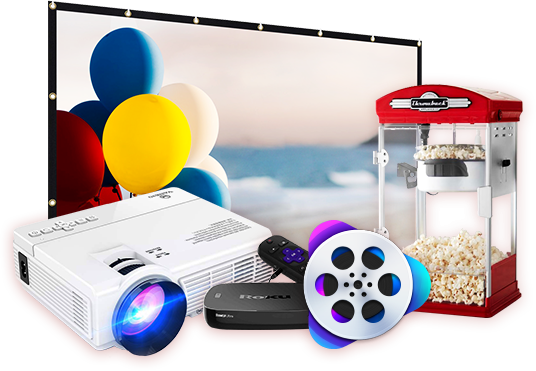 -HD projector and Projection Screen($140), best gift for movie buffs to enjoy films at home on a big screen with the LED portable projector which supports 1080P and is compatible with TV Stick, PS4, HDMI, VGA, TF, AV and USB. The projection screen is made with natural polyester fabric that delivers a sharper and brighter projections. -Roku Ultra ($80), a 4K/HDR/HD streaming player with access to 500,000+ movies and TV episodes. Whether your TV is HD, 4K or HDR, Roku Ultra will optimize your content for the best picture resolution. -Popcorn maker ($100) that comes with a popcorn scoop, an oil spoon and a kernel measuring scoop, capable of making 5 oz. of popcorn per batch for you to enjoy while watching movies at home. On Mar. 1, 2019 , A random draw will be conducted with randompicker.com. Beyond that, this campaign is not connected to any third-party lottery drawing apps. The odds of winning depend on the number of entries received during the Entry Period. The Administrator reserves the right to substitute prizes with equal cash value transferring via PayPal under exceptional circumstances. All taxes, fees and surcharges on prizes are the sole responsibility of winner. The winner list will be announced on this page, our Facebook and Twitter. Winners will be notified by email. If the winner does not respond within 3 days of notification, an alternate winner will be selected at random from all remaining entries received. Only 2 alternate winners may be contacted. b) Acquire 3 Additional Entries for Rating & Reviewing 5KPlayer on Trustpilot. c) Acquire 3 Additional Entries for activating VideoProc and sending us an email. d) Acquire 1 Additional Entry for following @5KPlayer on Facebook. e) Acquire 1 Additional Entry for following @5KPlayer on Twitter. The sweepstakes is open to anyone from all over the world who has reached the legal age of majority in their jurisdiction of residence at the time of entry. Void where prohibited. Any use of robotic, repetitive, automatic, programmed, script, or any other automated means or similar entry methods or agents for submitting entries is not permitted and will result in the disqualification of all entries received through that method. Any attempt by an entrant to obtain more than the stated number of Entries by using multiple/different email addresses, identities or any other methods will void that Entrant's Entries. The Administrator reserves the right to disqualify any entries received through such methods, as determined by Administrator, in its sole discretion. The Sweepstakes is organized by DearMob, Inc., branch of Digiarty Software. Inc. with office at No. 89, Cuihua Road, High-tech Zone, Chengdu, China. All participants must be abide by this Official Rules, governed by the laws of China. DearMob, Inc. reserves the right to amend or change the Rules at any time, in its sole discretion, and to suspend, cancel, postpone or extend the Sweepstakes or any disqualified entrant's participation without prior notice.